Scully Company was full of holiday cheer this December. 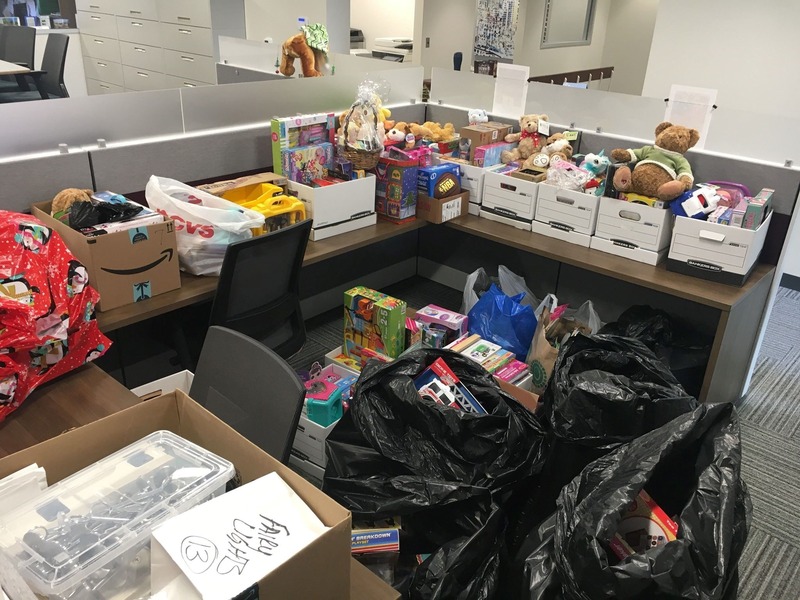 With the help of our corporate staff, community staff, and residents, we were able to donate two car loads full of toys to the children in the Pre-K Bright Futures Program at The James Russell Lowell Elementary School in the Olney section of Philadelphia. We were overwhelmed with the number of toys that come in and everyone was excited to be able to provide some joy for children in need. Scully Company is dedicated to supporting the community’s we live and work in. We were thrilled with the number of toys we received.